If you are planning to make your career in the hospitality sector, then the list given will help you choose the top IHM Colleges in India 2019 with rankings. The booming tourism industry has opened up new vistas for various types of careers in the hospitality management and catering technology domain. Enlisted beneath are the best IHM colleges in India 2019 offering degree courses in hospitality. Institute of Hotel Management Catering Technology (IHM) Aurangabad was originally established by the joint hard work of the Maulana Azad Educational Trust (MAET) and the Taj Group of Hotels. IHM, Delhi is a leading Hotel management institute enriching lives of students. Institute of Hotel Management- Bangalore, formerly food craft institute was set up in the year 1969. Institute of Hotel Management- Chennai was established in the year 1963. Hotel Management is one of the leading industries creating a wide scope for employment. Institute of Hotel Management-Guwhati, formerly food craft institute was set up in the year 1984. 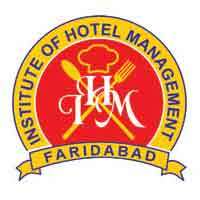 Institute of Hotel Management Catering Technology (IHM) Ahmedabad was originally established by the joint hard work of Government of India and Government of Gujarat in 1972 as Food Craft Institute. Institute of Hotel Management, Gwalior is an autonomous institute, creating an identity in Hotel management & Hospitality field. Address : Institute of Hotel Management, Airport road, Maharajpura, Gwalior, Madhya Pradesh. Institute of Hotel Management, Gurdaspur is a leading college, imparting quality education among students. IHM, Bhopal is a leading hotel management institute enriching young students. IHM , Bhubaneswar is the best Hospitality and Hotel management institute in state of Orissa. AIHM , Chandigarh is a top Hotel management institute which is a member of NCHMCT. IHM is a well-recognized autonomous institute in Dehradun, established in 2006. 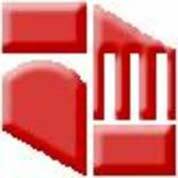 IHM, Faridabad is a well-acclaimed institute which was established in 1989.